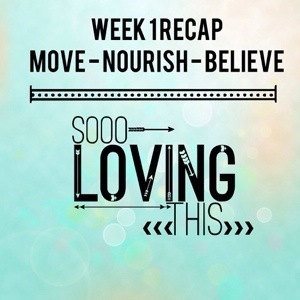 Move, Nourish, Believe Challenge – Week One Recap By the Dr. herself! I have so many favorite ways to sweat… But since it was Monday – I had to highlight one of my favorite group fitness classes – Circuit Training. The instructor is awesome and each week designs a challenging circuit class. 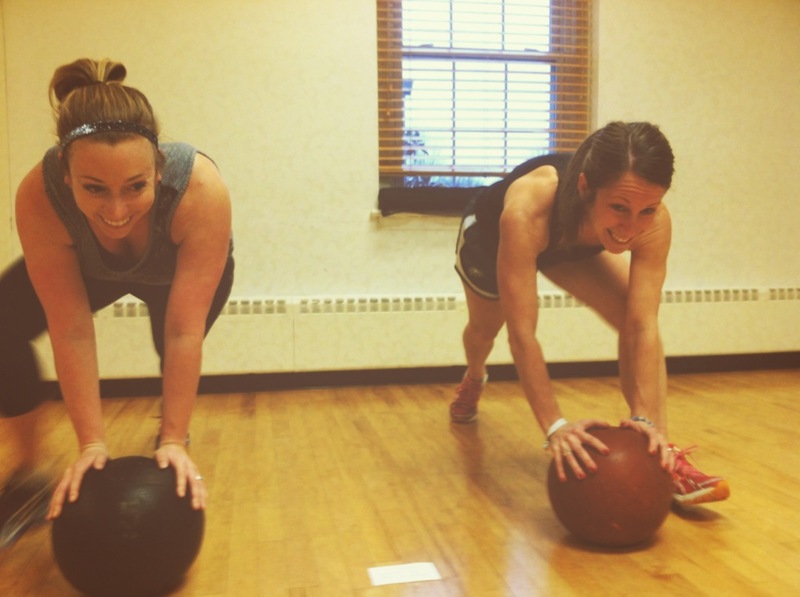 This pic is of me and my running partner Teen pumping out mountain climbers on a medicine ball, which is not as easy as it sounds. Hello, core strength! On Tuesday I did the 10 Minute Core Workout. Wowza, lots of ab strength needed for this one. But I still manage to smile through that side plank. 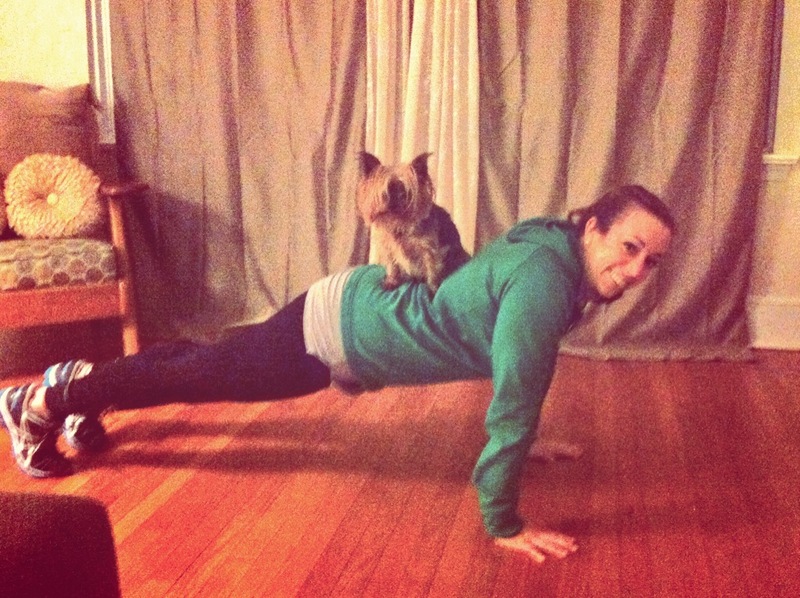 I forgot to get my plank on at the gym… so I was had to complete my planks at home while being tortured (i.e., licked to death) by my dog, Penny. So I decided to get Penny involved by making her sit on my back while planking. At first that 6 extra pounds didn’t feel like much… but by minute four it was killer! 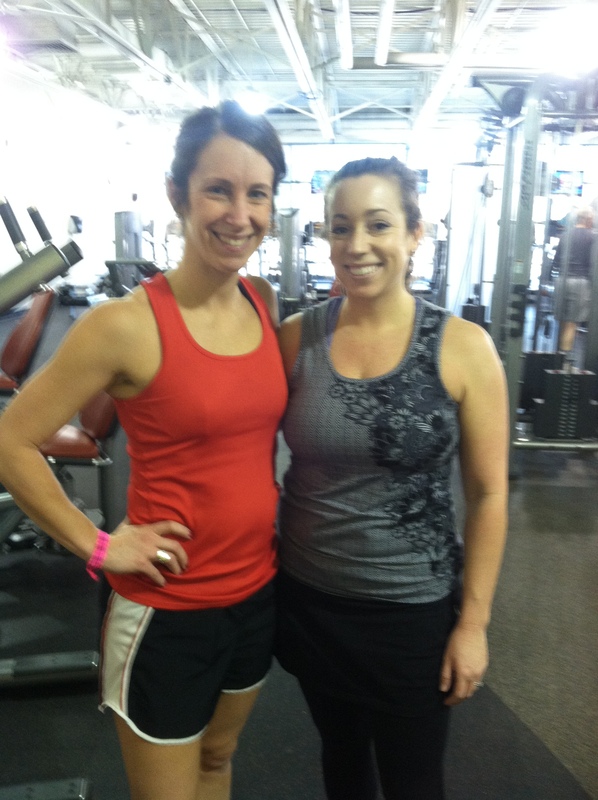 Thursday mornings I teach BodyPump – so this was an easy challenge for me to complete. I am working out with a class full of YMCA friends. My fitness favs: (1) running with friends; (2) Sparkly headbands; (3) BodyFlow after a hard week of training; (4) my foam roller; and (5) New Asics! My bonus item would be #1 in moderate temps (50-65 degrees). So there was my week! I am looking forward to next week’s “Nourish” challenge. I am going to try to prepare and plan as much as possible. I am really looking forward to Smoothie Thursday. Hello chia seeds, welcome back into my routine!